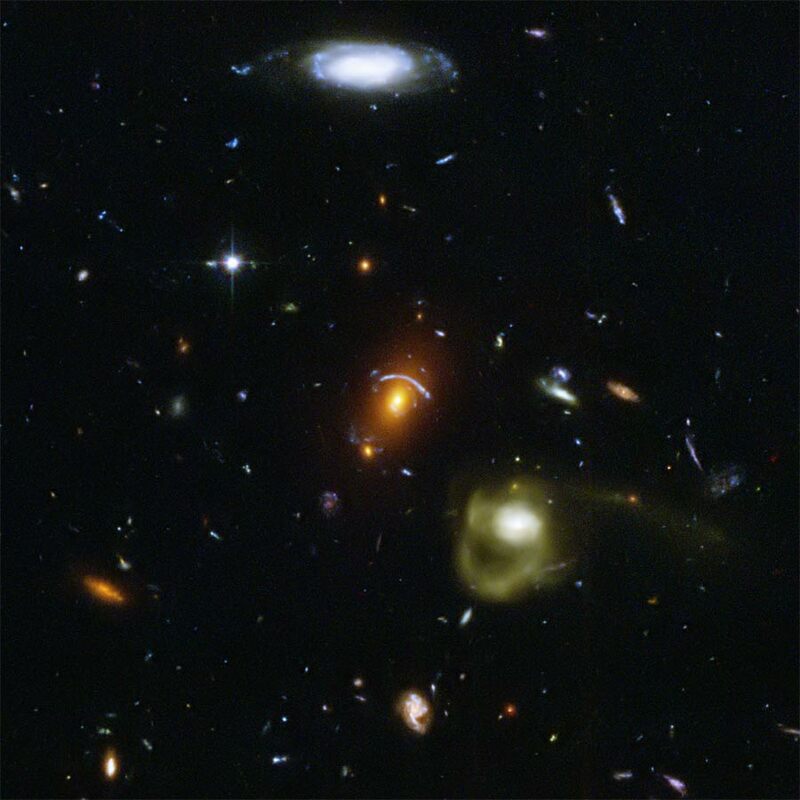 Like a photographer clicking random snapshots of a crowd of people, NASA's Hubble Space Telescope has taken a view of an eclectic mix of galaxies. In taking this picture, Hubble's Advanced Camera for Surveys was not looking at any particular target. The camera was taking a picture of a typical patch of sky, while Hubble's infrared camera was viewing a target in an adjacent galaxy-rich region. The most peculiar-looking galaxy in the image � the dramatic blue arc in the center � is actually an optical illusion. The blue arc is an image of a distant galaxy that has been smeared into the odd shape by a phenomenon called gravitational lensing.